This quilt is full of gifts. 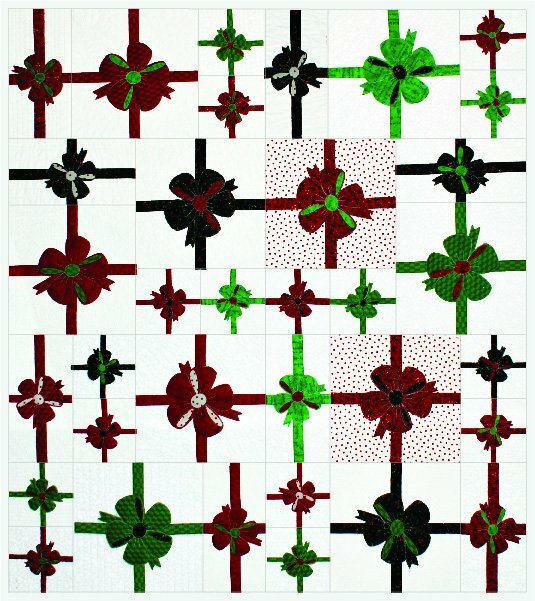 Made up with Christmas fabric but it would be wonderful in fun birthday fabrics, wedding fabric, etc for any special occasion. It even has a secret pocket for a gift card or just note card! The vectorized images work perfectly with the silhouette cutter!